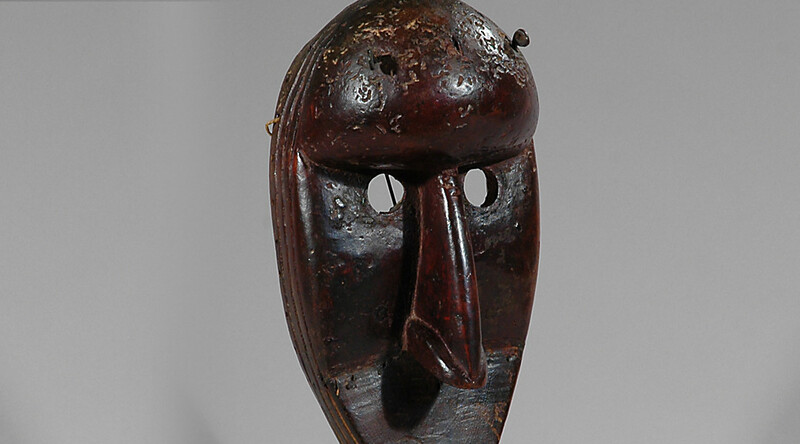 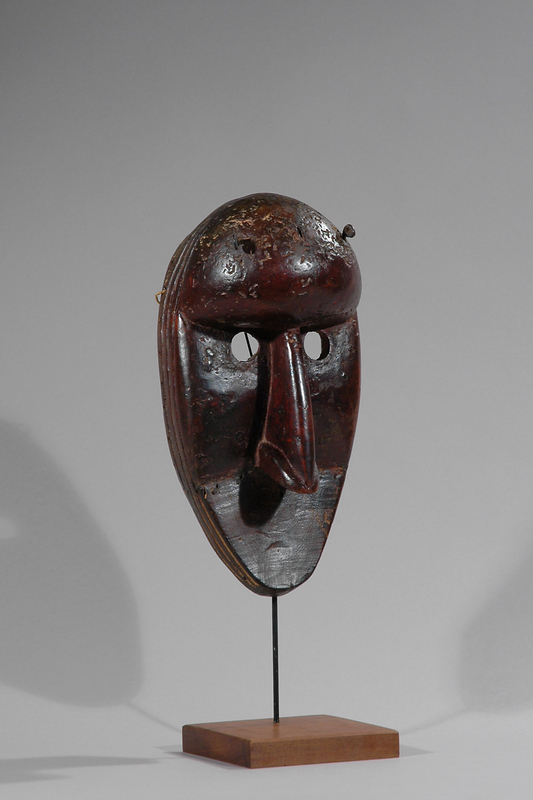 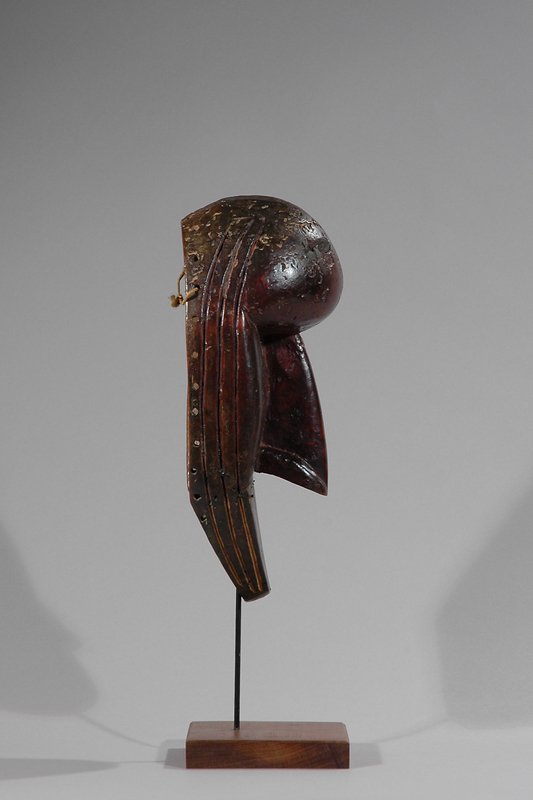 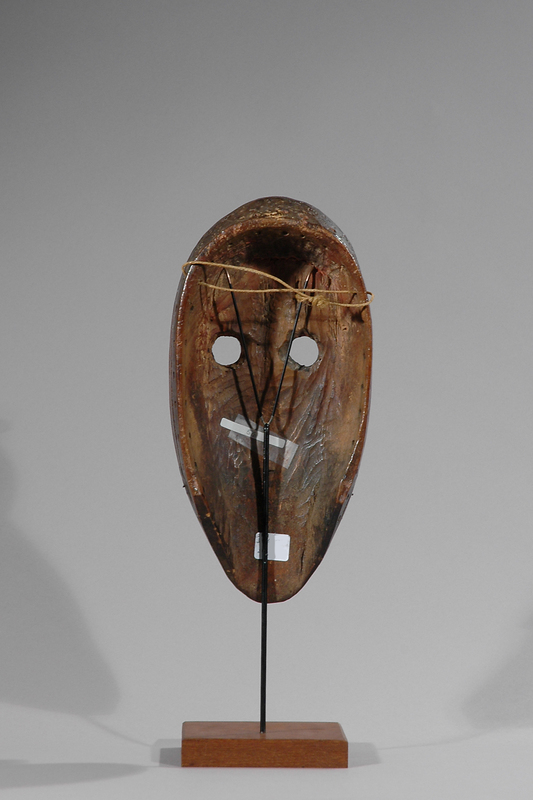 This stylized mask with abstract geometric features may come from the Dan/Geh of Liberia. 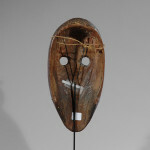 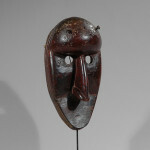 Among the Geh, similar masks are used as agents of social control and may play the role of judges, gods or protectors of young initiates in Poro Society. 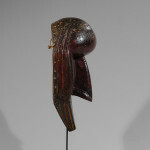 The Dan people, who live in Liberia and the Ivory Coast, are governed largely by secret societies. 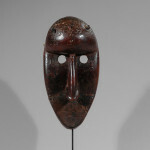 The Leopard Society acts as a major regulator of Dan life, and initiates young men. 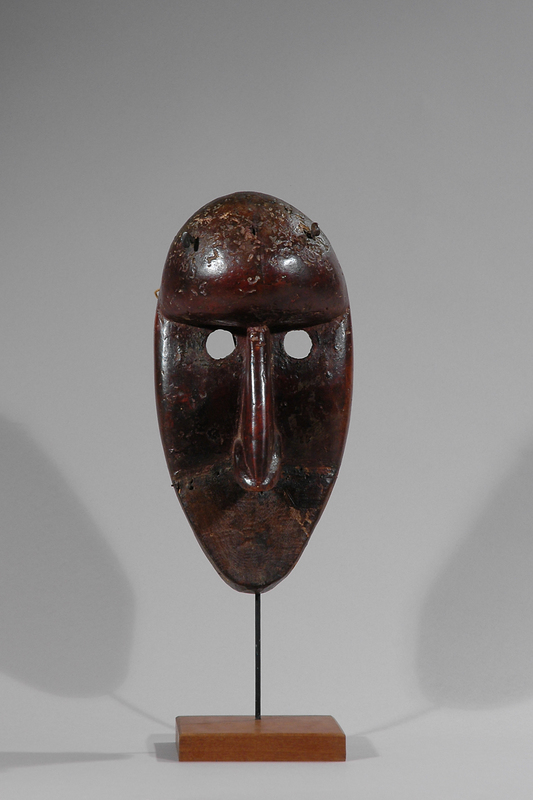 Famous for their masks, the Dan believe that spirits, known as “Du,” live in the forests and manifest themselves to humans in masks and masquerades, instructing and sustaining the Dan in life.